This estimated initial investment assumes that you will initially operate only one Storm Guard Franchised Area serving an area containing approximately 50,000 owner-occupied single family homes and duplexes. 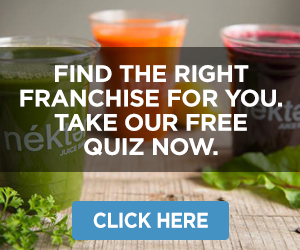 The Initial Franchise Fee will be the same for all similarly situated franchisees, except that your Initial Fee will vary based on how many Territories you purchase, and Storm Guard reserves the right to modify the Initial Franchise Fee in its discretion as it deems appropriate. This estimate assumes a prepayment of one to two months of rent, based upon one business office with approximately 1,500 to 2,000 square feet of space. This estimate is indicative of a site within the Austin, Texas area at an annual leasing rate of $16 per square foot for 2,000 square feet on the high end, with a prepayment of two months’ rent, and $12 per square foot for 1,500 square feet on the low end, with a prepayment of one month’s rent. The minimum estimate also assumes that you will secure a business office that requires no leasehold improvements, with an existing office either needing no modifications or minimal improvements to partition a large room to create work spaces. If you operate your Business in a higher rent area, your rent could exceed $3,000 and your initial investment will likely be higher than the total estimated initial investment set forth in this Item 7. Utility deposits are not typically high expenses; however a credit check may be required by the issuing company before beginning services, or a higher deposit required for first time customers. This estimate is for the cost of all deposits necessary to obtain the minimum required insurance as described in Item 8. You should also check with your insurance agent(s) or broker(s) regarding any additional insurance that you may wish to carry above Storm Guard’s stated minimums. Although Storm Guard does not charge for up to two individuals affiliated with the Business, including your Designated Owner and one Key Manager, to attend its initial training program, you will be responsible for all other costs associated with attendance, including the transportation, lodging, meals, wages, and benefits of each of your attendees. This estimated range contemplates the training of two individuals commuting by car each day to the training, on the low end, to two individuals that must cover airfare and accommodations out of state, on the high end. The Opening Package includes most of the smaller promotional and business items you will need to open your Business, such as yard signs, clothing, promotional materials, door hangers, process forms, brochures, and paper products. Finally, it includes tarping materials and full wraps for two vehicles. It does not include any sellable inventory. You must acquire at least two vehicles (with at least one being a pick-up truck) that are each less than 5 years old. Such vehicles will be driven by your Key Manager(s) and any additional field staff you hire. Storm Guard recommends, but does not require, that you either lease or purchase your vehicle with financing. Your vehicles must meet Storm Guard’s standards as set forth in its Operations Manual and must always display the full Storm Guard vehicle wraps included in your Opening Package and any other required logos and Marks in the form Storm Guard designates. You are responsible for obtaining and maintaining all required licenses, certifications, and permits necessary to operate the Business. 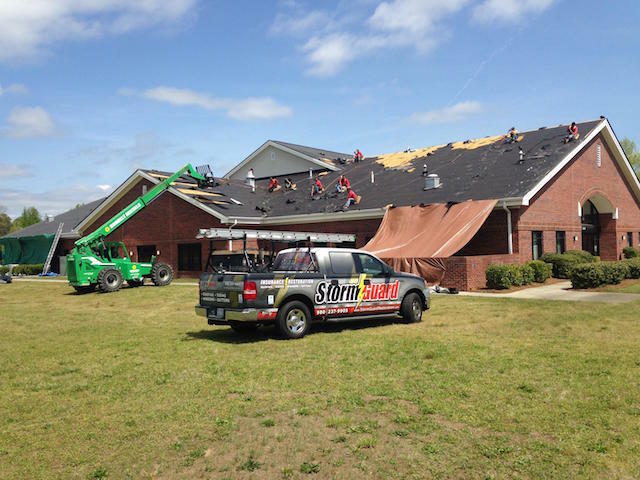 This estimate is based on Storm Guard’s experience in opening and operating Storm Guard Businesses and includes your contracting license and any other necessary licenses to conduct sales, hire subcontractors, and restore building exteriors. You must display at least one prominent external “Storm Guard” sign at your premises, subject to compliance with any local building codes applicable to your premises. You must purchase office equipment, computers, fixtures, and other items to accommodate staff requirements, including computer equipment, desks, shelves, filing cabinets, and furniture for the reception area. These fees are representative of the costs for engagement of professionals, such as attorneys and accountants, for the initial review and advice consistent with the start-up of a franchised business. Storm Guard strongly recommends that you seek the assistance of professional advisors when evaluating this franchise opportunity, the disclosure document, and subsequently, the Franchise Agreement. It is also advisable to consult these professionals to review any lease, rental agreement, or other contracts that you will enter into as a part of starting the Business. These fees will cover the cost of membership to certain professional and business organizations Storm Guard recommends that you join. Currently, it suggests that you become a member of the Better Business Bureau when eligible. This amount includes employee salaries, utilities, insurance premium payments, telephone, cable, direct television, the cost of services or system software, internet access fees, taxes, rent, and local advertising for a period of three months after you commence operation of the Business. This figure is an estimate. This total is an estimate of the initial investment required for you to commence operation of the Business for three months, and to open and operate a single Franchised Area, which may consist of up to three Territories. In determining the figures shown in this Item 7, Storm Guard has relied on its experience in franchising Storm Guard Businesses as well as its former affiliate’s experience in opening and operating Storm Guard Businesses.